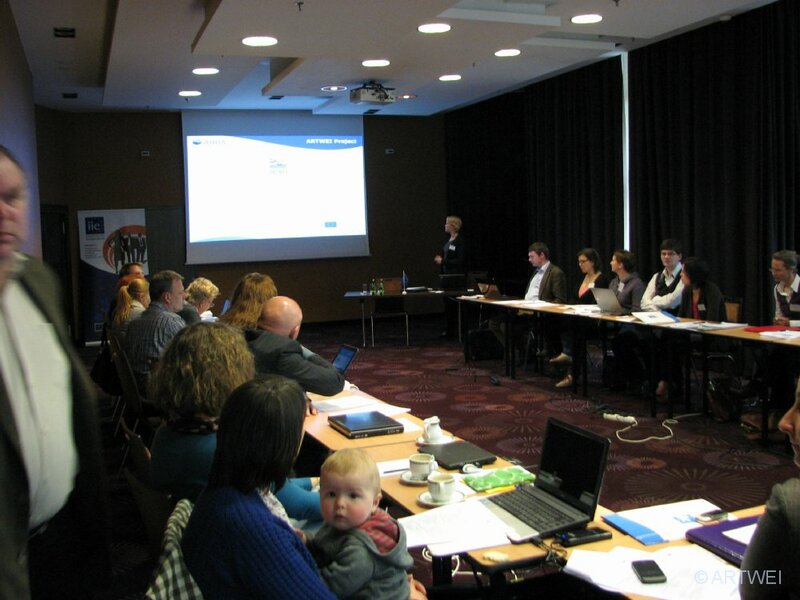 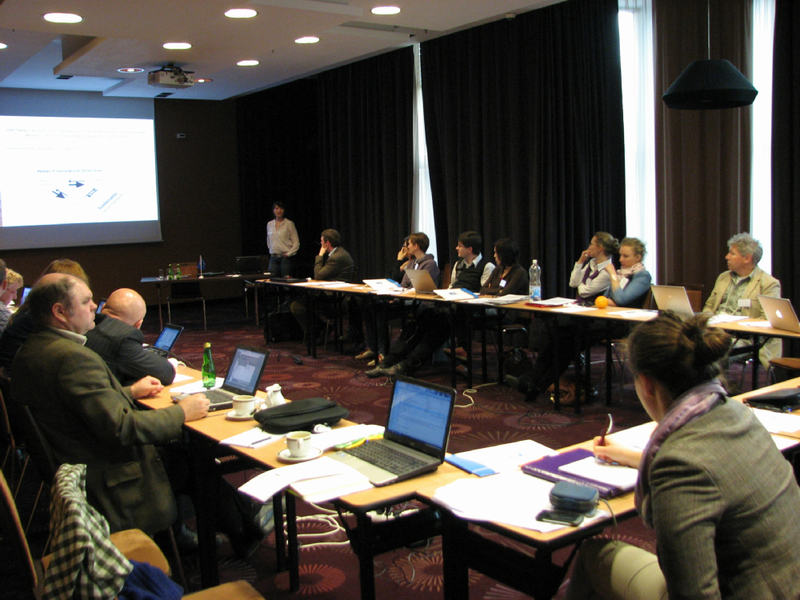 ARTWEI visited AQUAFIMA partners’ meeting in Gdansk (Poland) on May 15, 2012. 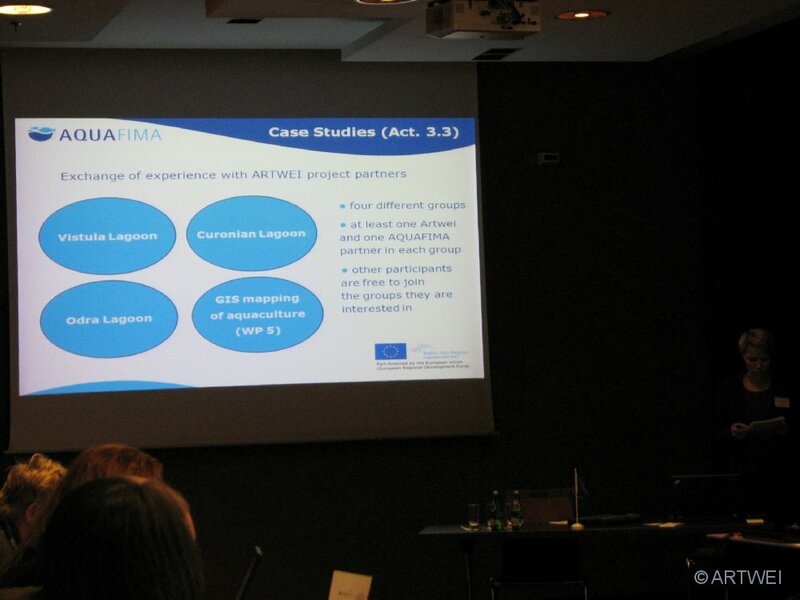 Aquafima partners and stakeholders were introduced to ARTWEI objectives and current development. ARTWEI partners presented case studies on 4 transitional waters, intoduced to just resealed Good Practice Code of Conduct, which is dedicated for the reinforcement of Transitional Waters environmental integrity in the South Baltic Area. Exchange of experience on Vistula Lagoon, Curonian Lagoon, Odra Lagoon and GIS mapping proceeded the common discussion within ARTWEI and AQUAFIMA partners. 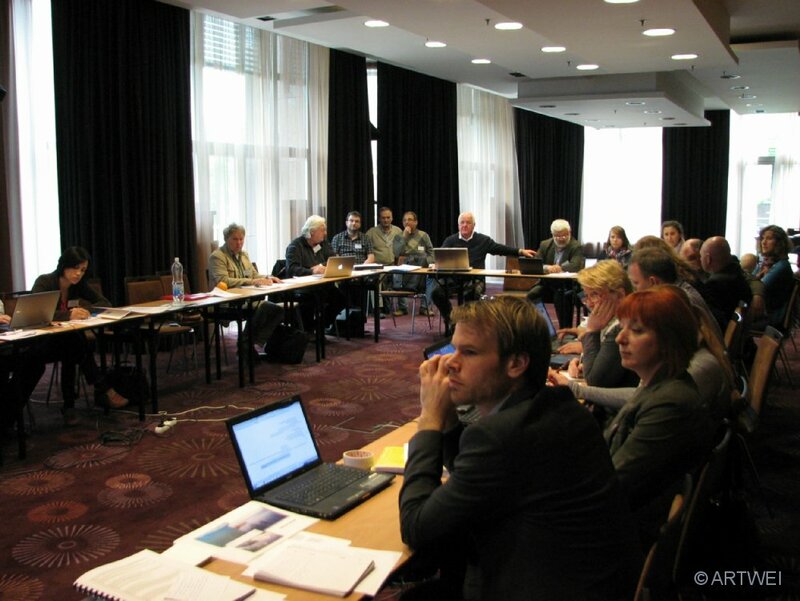 AQUAFIMA project addresses the need for an overarching strategy for the development of marine aquaculture in the Baltic Sea Region, combining sectoral policies and environmental issues. 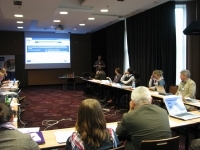 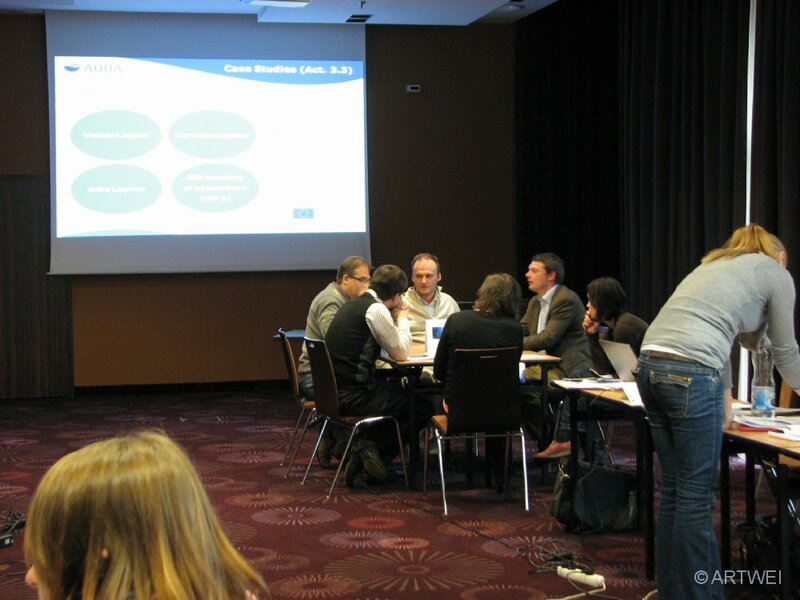 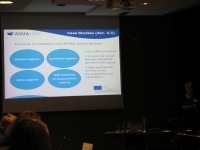 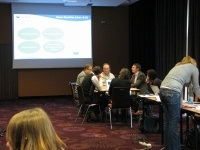 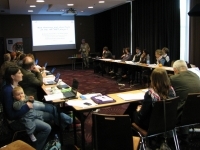 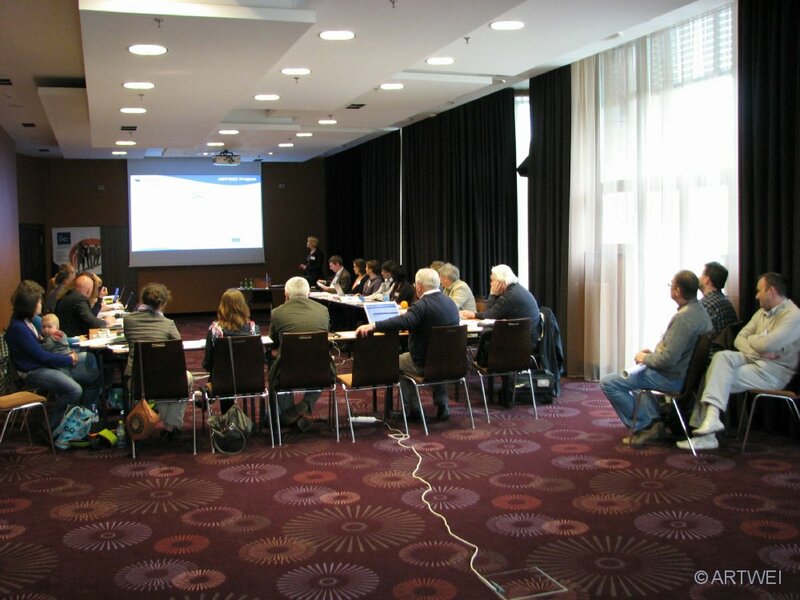 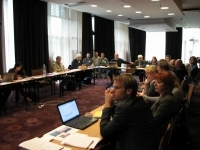 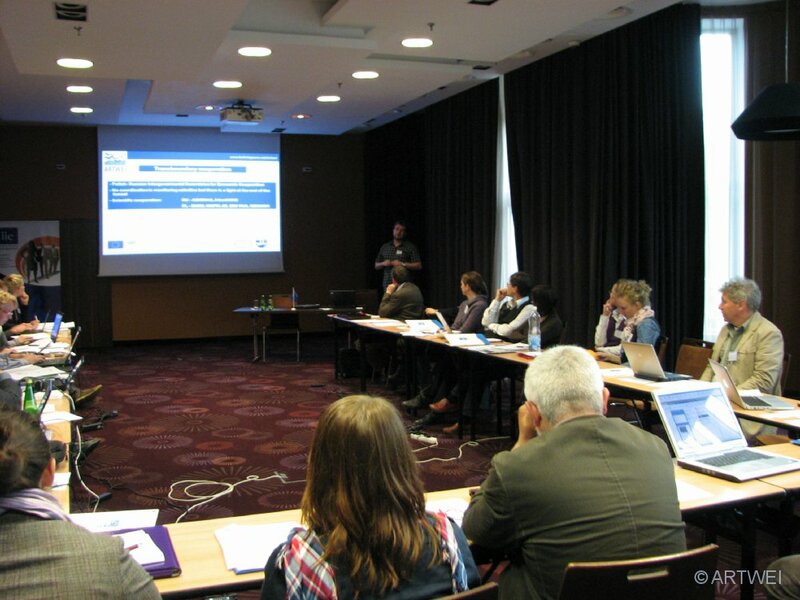 The project’s main objectives are to create an international forum for the discussion of current and future fisheries management in the Baltic Sea, to develop, test and implement alternative approaches to fisheries management as well as marine aquaculture pilot projects and to suggest approaches to integrate marine aquaculture and regional development in the Baltic Sea Region, applying an ecosystem friendly approach.